I remember how in 2005 I began writing the first edition of my book The Hows and Whys of Level Design. I had a lengthy daily commute, and one of those fairly early gen PDAs with a touch screen. I typed out the bulk of the entire book out on that PDA over a period of several months, using nothing but the little touch pen. I typed so much, that the plastic touch screen began eroding away where the most common letters were. 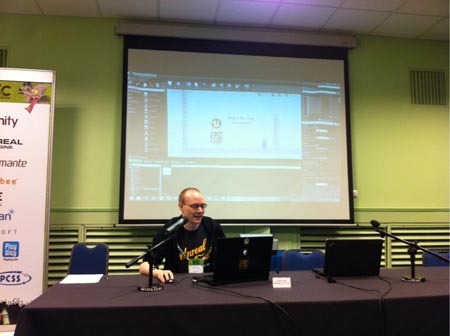 Over the course of the years I released 2 books, and 7 big Unreal Engine 3 and 4 video tutorial projects. They did awesome. Your response and support over the years has been super great. The books were never a financial success, something that is hard to accomplish with a book on a niche subject, but the uptake and the impact they’ve had over the years has been significant. Without any marketing or sales, and only selling the content via my own website the books sold more copies than the target sales numbers many game dev book publishers appear to aim for. Likewise for the videos. Many bought those, and the response has been wonderful. Thanks so much for the help and support, and to allow me to carry on creating things! As a Christmas gift to the community I am hereby releasing all of my books and all of my videos for free! You can find all the content on the various pages on the site. Some of the content is beginning to age. The UE4 videos were done using 4.0 so there are some minor interface differences, but otherwise they still hold up perfectly fine. The UDK videos might appear very old, but since they go so in-depth on technical topics a lot of it is surprisingly relevant still for UE4. Many of the deeper technical things in UE3 are still identical in UE4, apart from interface changes. For the books I am planning major updates in the year(s) ahead. I will start off with the games industry book because it is easier to update (fewer example images needed), but I hope to eventually move over to the level design one too. All updates will be released for free and openly. If time allows I hope to transition it out of the PDF form and onto a pure HTML form too later on. Thanks again to all who have previously bought this content and supported me! 2016 has been as crazy as every year. 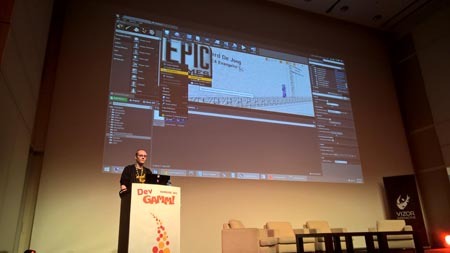 On behalf of Epic I visited a few dozen cities and countries evangelizing the Unreal Engine, and met thousands of studios, developers, and enthusiasts alike. 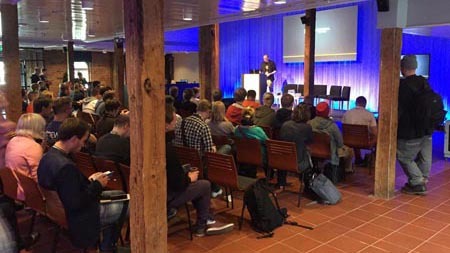 My work at the education Futuregames in Stockholm also carried on as usual, hitting another ~80% success rate on people being hired into the industry on the day of graduation. 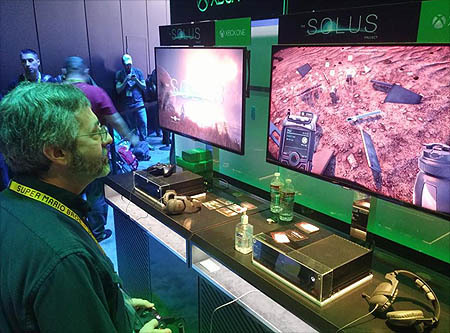 After exactly 3 years of work, my game The Solus Project also finally launched. 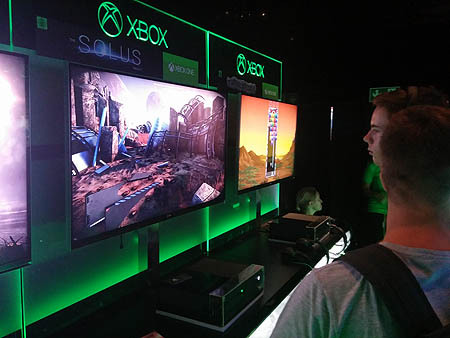 In June for PC, in July for Xbox One. I could write a book about what I experienced and learned from the whole process, but in short it has gone great. 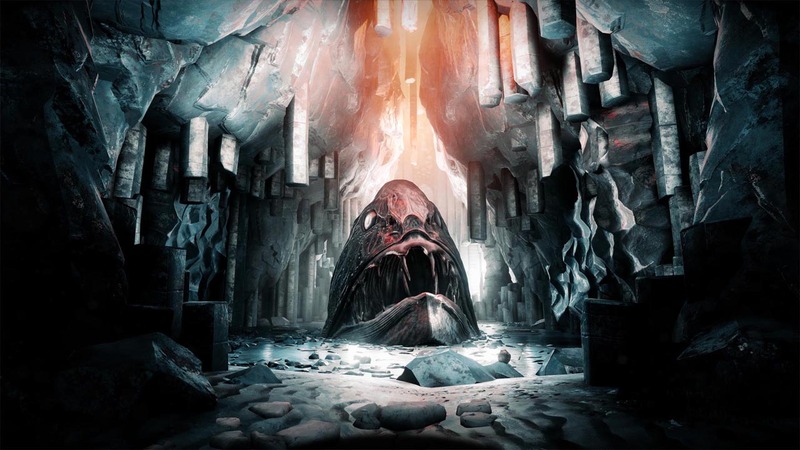 For a team of only a few people, operating on a near zero budget, the game shipped a very solid 150 000 copies in the first six months of its release. Alongside with my previous two games The Ball and Unmechanical, my small company has now shipped well over half a million copies. With having done indie releases in 2010, 2012, and 2016 I experienced 3 distinct stages of the industry. When we launched The Ball in 2010 there weren’t any Youtubers or Twitch streamers for example. Yet in these 3 different markets, we managed to perform consistently. All 3 games were done with an absolute minimum budget, with small teams, and in unorthodox ways. Entering the 18th year since I began using UnrealEd 1, it has been a crazy ride that has enabled me to do so much that I never expected to be able to do. Here is onto an interesting 2017. Although given the state of affairs I do hope that doesn’t include WW3. Another year has passed. As always due to time pressure I am rather bad at updating my site, but here goes for a year overview. I traveled. A lot. 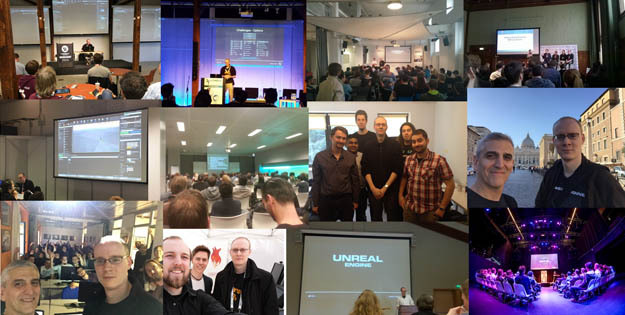 Mostly in my role of Evangelist for the Unreal Engine, and a small number for my other responsibilities. I’ve met thousands of people over the past year, and it has been great seeing what everyone is working on, and what people out there are doing with UE4! 27 public presentations at conferences, universities, etc. I will continue with my traveling schedule all the way through 2016 so if you want to meet up in your region let me know, I might be there later on this year! 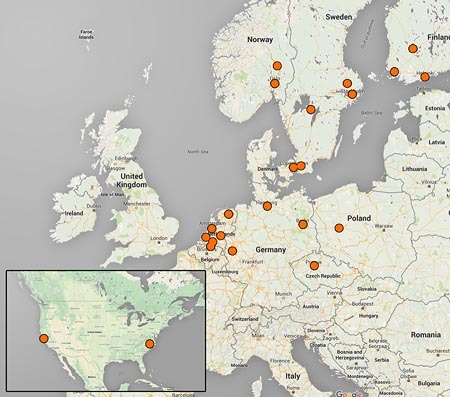 Likewise for anyone in Northern Europe who work for a studio, or are studying at an education. 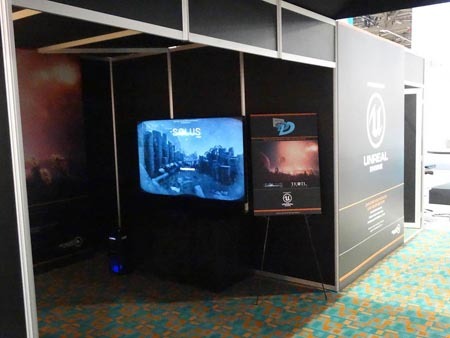 If you want to do anything with Unreal, please let me know and perhaps I can drop by! And last but not least the trailer we put out. A first release is scheduled around late January, early February. Almost all gameplay design, art styling, the concept, overall level design work, etc. Almost all lighting, optimization work, etc. Once TSP is out and released I hope to find some time to get back to trying out and documenting various small things in UE4. Would love to return back to writing tutorials, but I can’t manage right now. I would also love to write the third edition of my book, something which I scheduled for 2017, possibly 2018. As usual I am extremely short on time so my website updates lag behind some, but there are tons of things happening. I will post a yearly recap towards Christmas. The Solus Project has been doing really well. 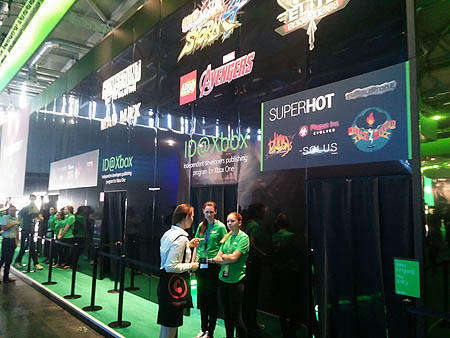 Not only was the game part of the Microsoft E3 press conference and was it playable at the Xbox booth, it was also at the Xbox booth at EGX and Gamescom, and we just today announced it will be one of the first games to be part of the Xbox Preview program, as well as Steam Early around the first 2 months of 2016! We launched our Steam and Steam Community pages too! To celebrate all this I have produced and released 1 hour 40 min worth of additional TSP overview videos. As before all my TSP videos can be found on the TSP page. For the next two weeks I will be streaming on a nearly daily basis. Feel free to join in and ask me any questions on how what I am doing and how I built things! For the time being no voice, as I don’t want to be talking for 8 hours long every day, but I monitor the chat and might pick up voice chat soon. I returned from an awesome two weeks in the US. 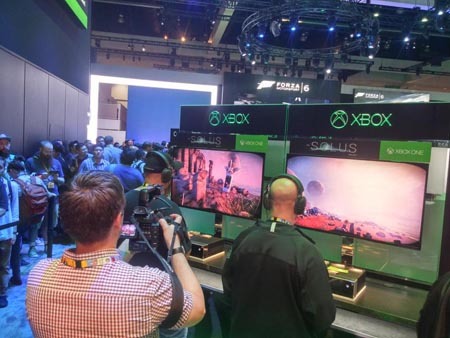 It was an awesome experience to be at GDC, especially on behalf of Epic Games, and see from up close how much organization, work, and passion goes into running a show that big. I’ve met tons of people, some of them who I had been talking to for over a decade without having ever, and it was great to finally meet everyone face to face. 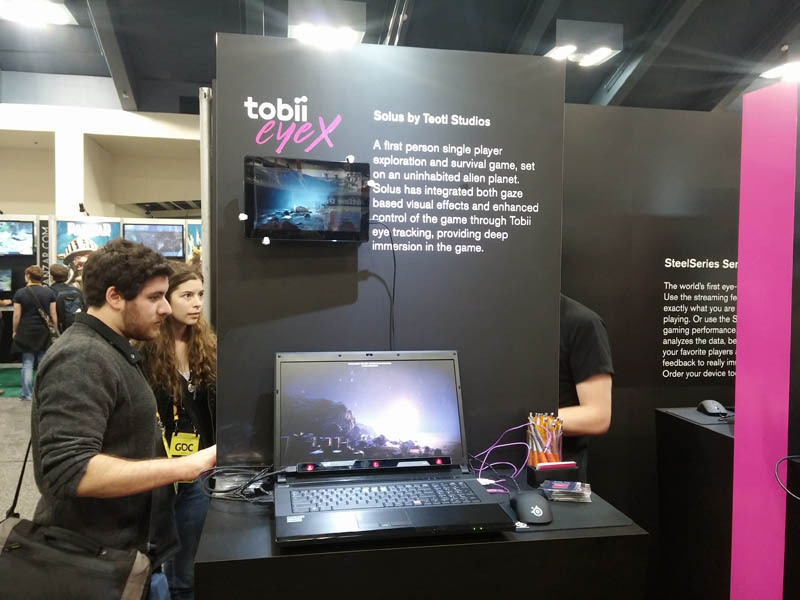 And also, thanks to a partnership with Tobii, I had The Solus Project in the main expo hall at GDC as well! 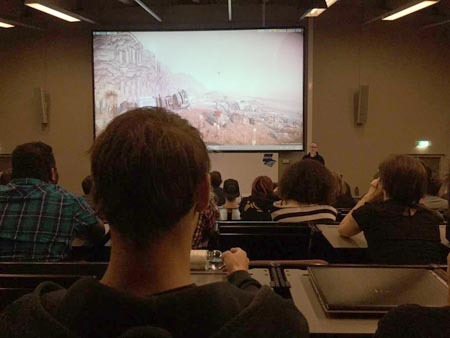 That aside, I recently wrapped up on the Futuregames UE4 projects with my students. These six projects were the outcome. This is UE4, done in just 4 weeks time, by just ~6 people a group, absolutely no programming (Blueprint only), and done by students who have only been studying since September. So in other words, this is how much you can accomplish with Unreal Engine 4 in a limited amount of time, and with little experience. I have been spending the week at Epic HQ, but unfortunately managed to bring winter with me from Scandinavia :) Started snowing here after I arrived here. 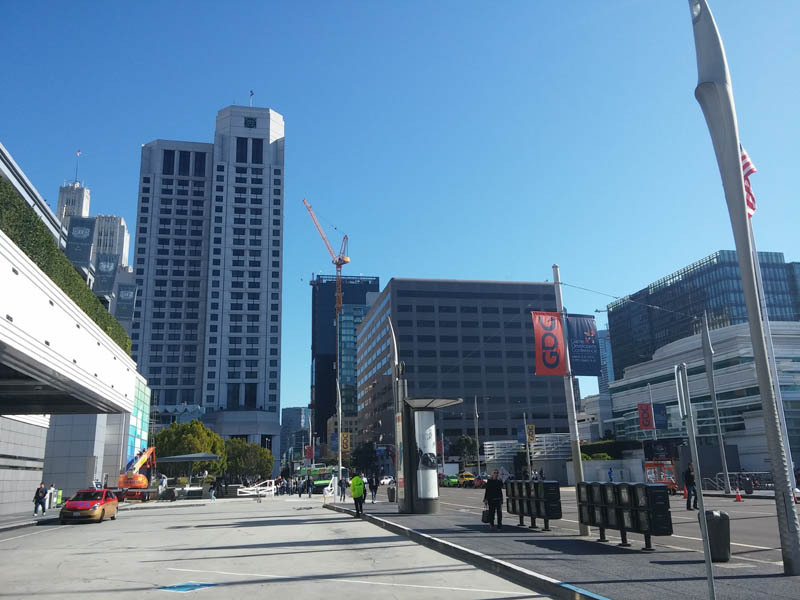 I will be in San Francisco for GDC 2015 all week long on behalf of Epic Games. If you are at GDC, I’d love to meet up with you during the course of the week! 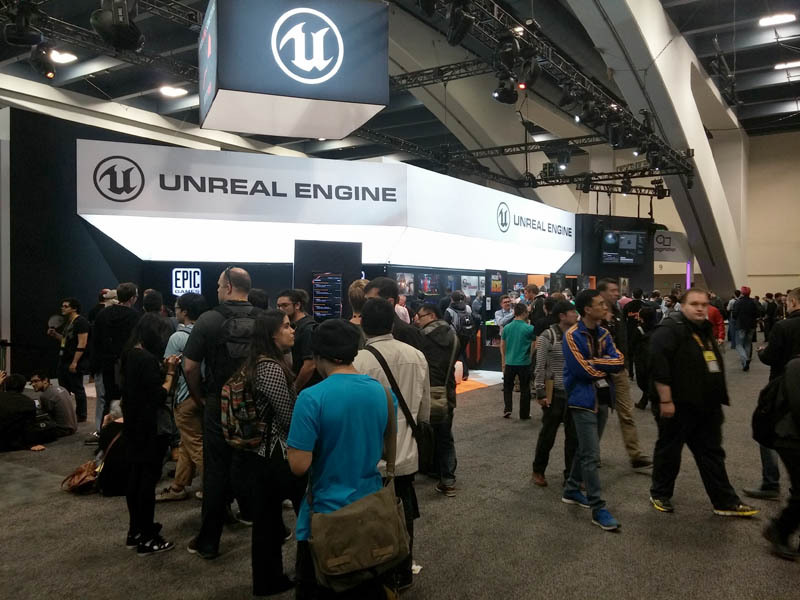 You can find me at or near the Unreal Engine booth most of the time, or alternatively reach out to me via email ( me@hourences.com) or Twitter. Lastly, Epic Games is throwing a party Wednesday evening. Everyone is welcome! 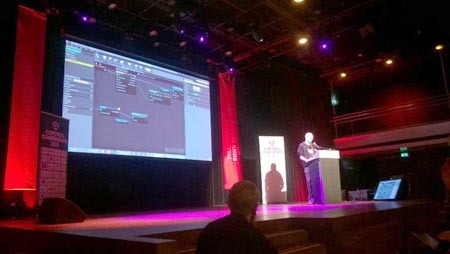 I will be in Amsterdam next week Wednesday along with Andy Hess, and we will be hosting an official Unreal Engine meetup! On Wednesday evening, the 4th of February, Epic Games would like to invite you to the first official Dutch Unreal Engine mixer. 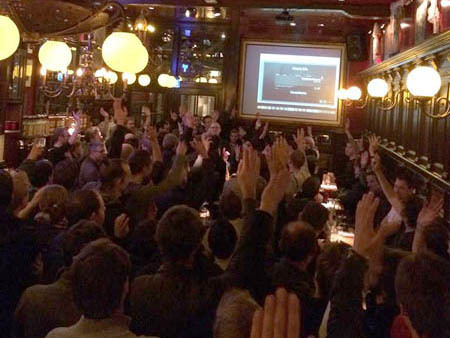 Unreal Engine Evangelists Andy Hess and Sjoerd De Jong will be hosting a casual get-together at Heffer in the heart of Amsterdam. While enjoying free drinks, attendees will have the chance to check out Unreal Engine 4, chat with us, and meet fellow members of the community! 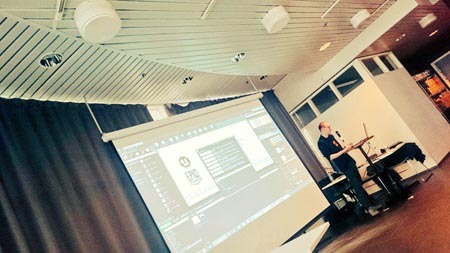 We will also be giving a presentation about Unreal Engine 4. As a special treat, Epic Games is giving everybody who attends a complimentary 1 year subscription to UE4. When: Wednesday February 4, 17.00 until 19.00. The presentation will take place at 18.00.